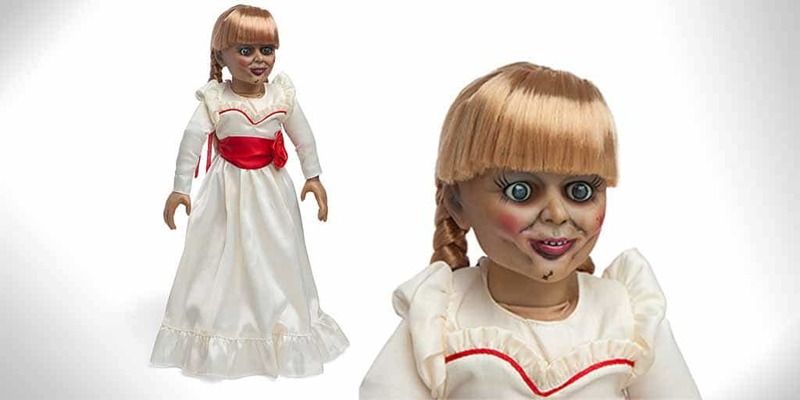 Annabelle Prop Replica Doll by Mezco Toys | Nerd Much? Officially licensed merch for your Halloween needs. It should be no secret that we here at Nerdmuch.com love all things Halloween and horror, as many of you reading this do as well. And, with the latest chapter in The Conjuring universe, Annabelle: Creation, releasing earlier this year, we’re excited to see Mezco Toys’ new Annabelle Prop Replica Doll. It’s a screen-accurate replica of Annabelle, the absolutely terrifying, possessed doll from that same universe. It’s created by Mezco Toys, which has an INCREDIBLE line of toys and nerdy stuff we just can’t get enough of. 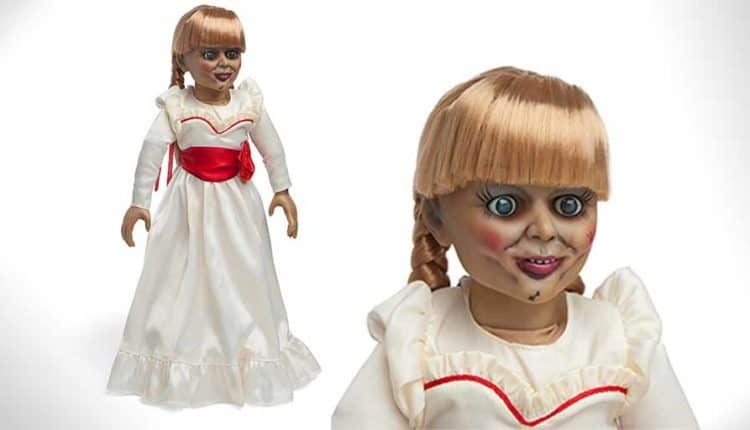 This Annabelle replica doll comes with her iconic white dress, complete with the red flower waistband. It has a plush body, and rotocast feet, hands, and head. It stands at 18″ tall and weighs just 2 pounds. If you do decide to pick it up, we recommend you keep it locked in a case of some sort. You never know just how real Mezco Toys has made it, and we want to avoid any sort of possession shenanigans; ThinkGeek refuses to guarantee that it won’t come alive. We might also recommend buying a little sleep mask or something to put over those damn creepy eyes because they’re simply too unsettling to keep in plain view at all times. The Annabelle replica doll will definitely make a great addition to any horror fans’ collection of cool stuff, and it’ll likely also come in handy for your Halloween decor this year.